Here we are just into the first part of the week and Kaylee's mail is exploding!! 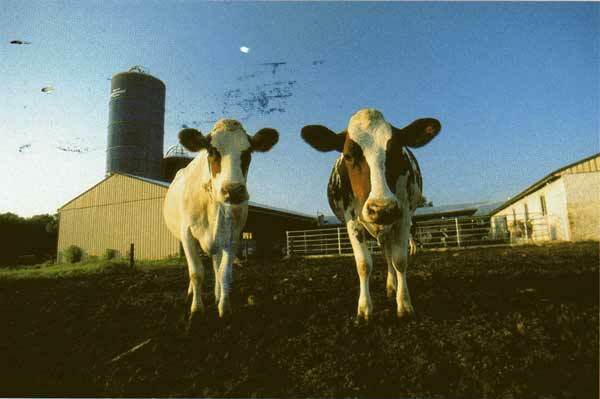 So far she has 2 postcards and 1 Limner mail. Along with this I have received this months Lost Crates package of which I will be doing a giveaway this month. This will be in addition to the Baseball Postal Giveaway I am doing ending in mid April. More giveaways coming so keep checking. So with that let's get to Kaylee's mail first. Limner sent Kaylee a milk (yogurt) bottle filled with bovine goodness.. So daddy performs some surgery. PUSH!!! And out pops a calf.. So now Kaylee has another baby for the herd. and all of the same kind. She's a bit sad, can't you tell.. Just teary eyed. 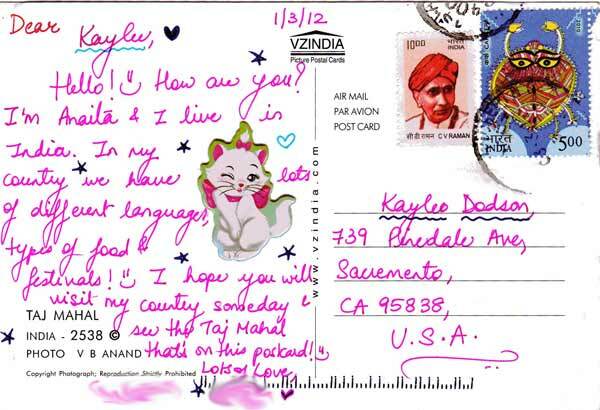 She has also been getting some postcards from all over. 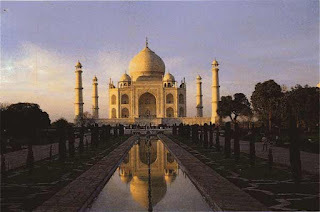 This one from India. 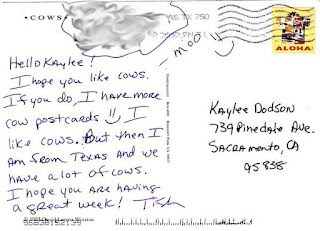 We received 2 cards from the same person, Tish, who recently found my blog and thinks she missed the giveaway. To which I say, NAY NAY.. You have missed nothing Ms. Tish. I fact you entered the giveaway with your postcard send. But you do still need to follow and comment here, here, and here and don't forget to sign here. And there ya go, you now own a YUGO. 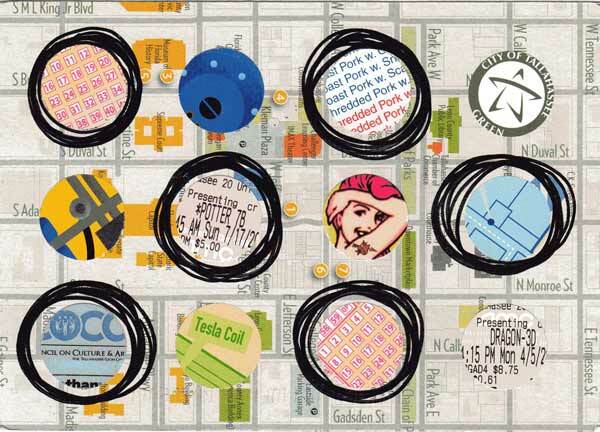 I also received this handmade card from Stephanie Dodson (no relation- I swear. 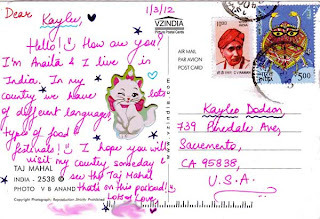 The contest is not rigged - no, really.. See my face, huh, huh.. ) She referenced the mailing, followed, just need to check for comment here, here or maybe it was here..
And finally, this card from Tallié in Bellingham (GMD), who wrote that she is enjoying my monthly PC mailings. 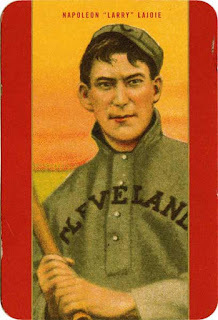 Only card with description. 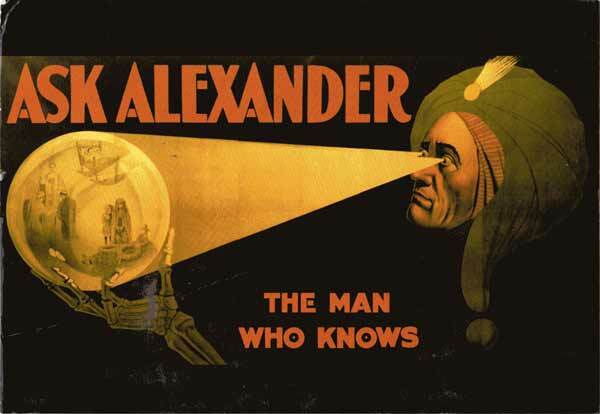 Ask Alexander The Man Who Knows! : Born Claude Alexander Conlin in 1878, he was the top Crystal Gazer of the 20th Century, first Appearing in 1907. One of the highest paid vaudeville entertainers. 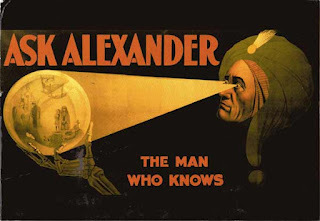 Alexander died in Seattle in 1954. Poster circa 1915 (From the Beckmann/Lyon Collection). The 9 foot x 16 foot billboard shown on this card is on permanent display in Seattle's Historic Pike Place Market. And last but not least.. Who wants more free stuff?? Huh, Huh.. Let's see those hands.. 1, 2, 4, 9.. Ok a bunch of people. Now you could say, "But Derrick, you have been so generous so far. How could you ever top your current giveaway.." No really, your to kind.. Stop, your making me blush.. Ok not really but hey I can dream right. So here it goes. I subscribe to a service called Lost Crates. For those of you who have not been initiated. The service goes like this. You cough up 38 clams a month (wouldn't that hurt if that statement were literal OUCH!) and they sent you assorted stuff from various "collections of the month". From Eco, Foodie, Made in ____, housewares, Jack's Picks, and my personal favorite, Stationery. Now the service originally started by you answering a questionnaire and they would "select" stuff for you to receive every month, or by a one off purchase. It was also ONLY stationery when they first started and just last month branched off into the other 5 collections eliminating the questionnaire. I still subscribe to the service and really enjoy the stuff that comes in. A lot of Etsy, really creative stuff you probably wouldn't find on your own because lets face it, THERE IS A TON OF STUFF OUT THERE!! Example of last months package. I received some Knock Knock pads (to do sheets, and very functional they even have a spot on them for correspondence. How fitting right? ), a Kaweco Gel Pen (I like this brand very much, have 2 of the sport fountain pens), some REALLY cool little note cards from Paper & Type (Kim loved these, I hid them in her bags before she got to work for her to find them), and lastly a neat little notebook. They even started including an "invoice" to let you know what the products are gong for retail. So you ask, WHY did you have me read all of that. Patient Grasshopper..
By some lucky happenstance I received 2 (two) shipments this month. So I have decided to grace ya'll with the excess items. I will be doling out 1 item a week from the comments on this post. The cards BTW are AWESOME!! 2. Comment on this post (still pretty simple) YAY! Doin' it now! 3. In your comment note which item you really would like to get. (doesn't mean you'll get it, just checking your paying attention) ANYTHING would be awesome--this is a SUPER fun giveaway!! 5. Do yourself a favor and check out lostcrates.com I wish I was employed, I would SO do this!!!! Only if you don't blow anything else out again. Yea, I read your blog... What's sup?? Hmm, the color pencils are Fun bc I'm artsy, but any would be great to have! this will be a 4 week spread. someone gets a random item every week and only this post will be counted for entries. so your get the item and something else thrown in, maybe, kinda, sorta, depends on the phase of the moon..
Oh, what great things you received! I love the notebook, but the colors of the Jet Set cards look awesome too. Yay! Good ol' USPS comes through again and delivers just as expected. And I'm respectfully passing on my spot in your generous baseball giveaway; I'd have followed your blog anyway (once I found out about it, that is). I am all for this Lost Crates deal though! That is such a cool service, thanks for the tip! I love random(ish), "grab bag" type things like this. The notebooks look interesting and would make for a great surprise for my daughter (she collects notebooks). your giveaway is a gas, gas, gas - with or without jumping jacks. lost crates looks very compelling. Tallie runs one of the best little interactive museums I've ever seen up in Bellingham WA. and Steph(no relation)Dodson is the coolest. I've been having some trouble following blogs lately, I click follow, sign in, but it never seems to actually add me as a follower... but I swear, I did follow your blog (twice)! Ohhhh, thats a tough one. It's all really great stuff, but my very favorite would have to be the Jet Set Cards. Love your blog! Oh, that Kaylee. I just love that looks-like-she-just-woke-up look. :) So sweet. 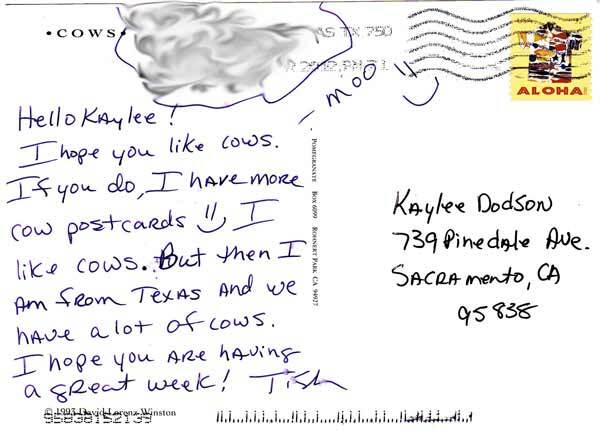 You are too funny but I like the way you delivered that calf, Dodson, D.! 2. Comment: Ooh! Wish I could ask Alexander if I'll win, 'cause I want everything! I mean, what's not to want? 3. Which one do I want? See #2. 4. . . . 11, 12, 15. Don't know the werds to JJF. Will Google the lyrics. Yup, just woke up - she wanted to open it before she got ready for school. The schleich brand (http://www.schleich-s.com/) is our favorite. the most life like I've found and at a decent price. Great selection of animals and fantasy stuff around. Your blog is really neat! thanks - deleted the other (duplicate). The lost crates stuff is pretty neat. I found out about it through pocket blondes blog. The jet set cards are great and the notebook is, too! Good things on their way out on Thursday..